Blue and White co-leader vows to bring down Likud government, win election in 2020. 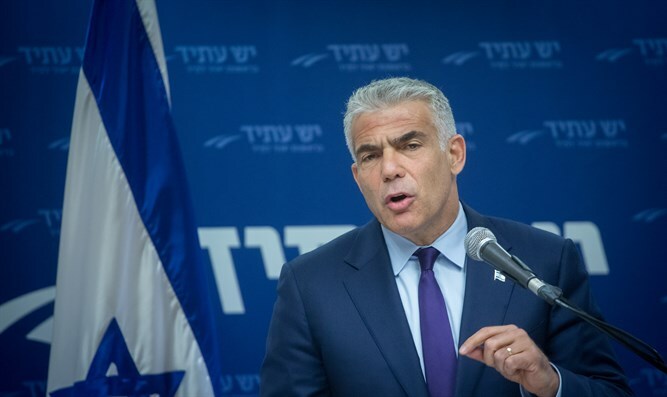 Blue and White party co-chairman Yair Lapid vowed to "make life miserable" for the Likud party as the main opposition party following their loss in yesterday's elections. "We did not win this election, but we are the largest party with more than a million voters, they will try to dismantle us, but they will not succeed," Lapid said. "We will make your life miserable in the opposition. The Right has concluded that the opposition is only trying to crawl into the government, but we will not let go of Netanyahu's indictment. We are going to turn the Knesset into a battlefield. We will show Israeli citizens how their lives can be with a government that cares about them. We did not come here to wrap up the 2019 campaign, but to open the 2020 campaign," he said. Lapid's co-chairman, Benny Gantz,said that "given the state of the blocs, this is the reality: the battle is not over. We will be in touch with the people who need it, but we are looking at the goal for which we came." We reached an extraordinary result: Over a million people voted for a cause that they did not know existed nine weeks ago, and we set up a real political alternative. Netanyahu gathered the extremists, ate his partners, and that is the result we received."